More than a technology, MEAN is an aggregation of 4 different technologies- Mongo DB, Express, AngularJS, and NodeJS, that together make the task of web app development swift, simple, and fast. Culminating technologies of client-side, server-side, and database, in one stack, MEAN adopts agile model of development that ensures the application attains the highest metric of quality while still retaining a tight grip on the overall development procedure. 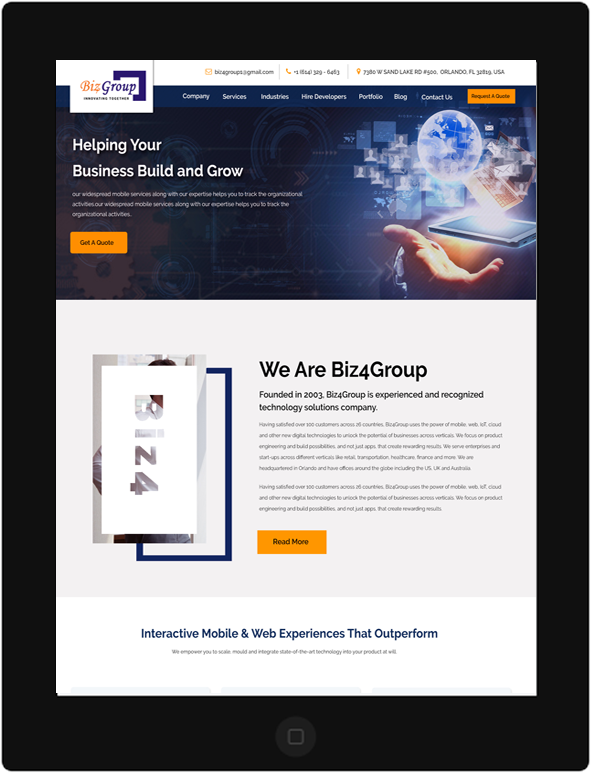 We at Biz4Group have all the required infrastructure in place, offer the most proficient of MEAN stack developers for hire, that command absolute expertise in each of those stacks, to deliver extreme business solutions at all scales in minimum time. Known for its high flexibility and speed, AngularJS is a powerful tool- more than competent to create highly responsive front-end. One of the finest tools for server-side scripting, NodeJS doesn’t only help create dynamic pages at the server-end, but also offers high scalability and throughput in its applications. Our MEAN stack developers can identify and evaluate your business needs and create an elegant and powerful web application that grows with your business. Implement all these technologies on your existing web application to upscale its features, availability, and responsiveness, to ensure you never have to settle with an unsatisfied client or a potential business opportunity being lost. Hire Mean Stack developers to create a robust and highly scalable back-end that supports your business no matter how large it grows, thus taking the concern of constant up-gradations off your mind. Our mean stack developers can also create highly responsive and engaging front-end to propel lead generation and push ROI. Provide end-to-end business solutions by deploying all four stacks, which will ultimately help you to gain an upper hand on your competitors. We help you power your apps with cloud technology using MongoDB that not only saves time, effort and money but manages data efficiently.